More than 180 years ago a man and a woman experienced a great love story and thanks to this, Fratelli Basile Interiors was established, our history of passion for the art of cabinet-making and interior design. For five generations we have been proudly narrating stories, telling of experiences, adventures and projects relating to a winning made in Italy enterprise and to the South of Italy. Ascanio Basile was our founder, he had Sicilian origins yet he worked in the Campania region on the first Italian railway line between Naples-Portici. He used to make wooden carriages and in his free time he cultivated his passion: furniture-making. Important master inlayers handed some secrets of the art of cabinet-making down to him. Ascanio loved an extraordinary woman who he was about to marry and he wished to give his beloved the most beautiful bedroom in the world as a wedding present, but, as is always the case, just as in a fairy story, before love triumphs over all, there is always a dramatic turn of events. The bedroom was so beautiful that Ascanio ended up by selling it. Ascanio’s failure to give this gift to his betrothed did not hinder their love: the bride- to-be married Ascanio all the same and together they gave life to those children and grandchildren that for generations now have followed in the eager footsteps of their forefather. That gift never arrived due to the fact that for each new bedroom that was created by Ascanio, there was a new client ready to purchase it. In fact, after the bedroom intended for his loved one, Ascanio sold many others of his creation to enthusiasts of made-to-measure furniture, he worked for the noblest families in the Naples area and he carried out work also for the royal family. 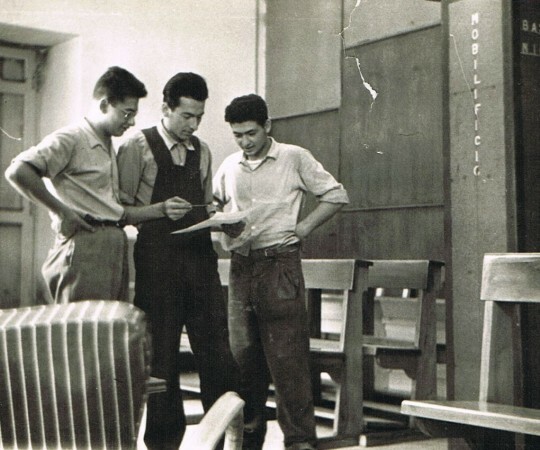 This is how from a love story, our history of professional cabinet-makers came to exist. 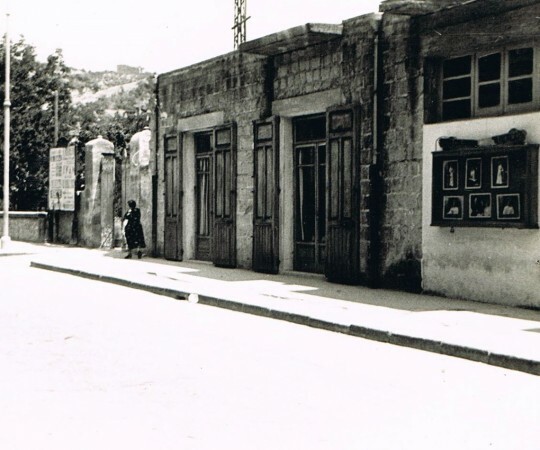 World War I had just finished (1915-1918) when survivor Nicola Basile, Ascanio’s grandson, rebuilt his future by establishing an ebonist’s workshop in the Casolla district of Nocera Inferiore, in the province of Salerno. In this way, he put his experience and family tradition into practice within the woodworking sector. 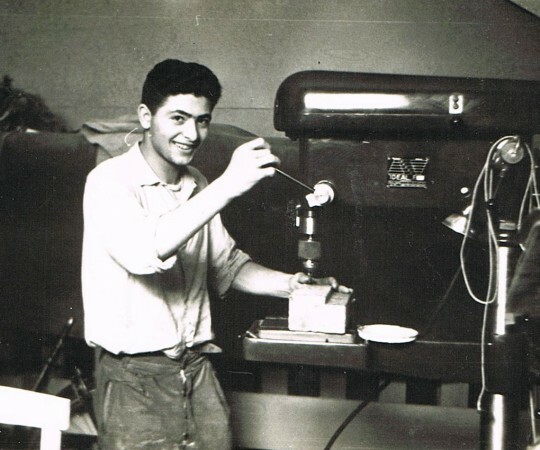 Nicola Basile, was, by then, an accredited master ebonist, inlayer and wood-carver, he expanded his workshop, recruited new staff and bought state-of-the-art machinery. These were the years during which a great deal of military supplies were produced relating to interior furnishings as well as door and window frames, along with monumental restructuring and major works, including the Tofano barracks in Nocera Inferiore, the St. Anna monumental convent complex and the State Railway Employees’ Building in Battipaglia. Throughout the difficult years of World War II (1939-1945) our family distinguished itself for its national pride by rescuing many partisans as well as Italian and American soldiers from the fury of the Germans, giving them all adequate medical treatment and offering them food and temporary shelter. Children grow up and become adults. 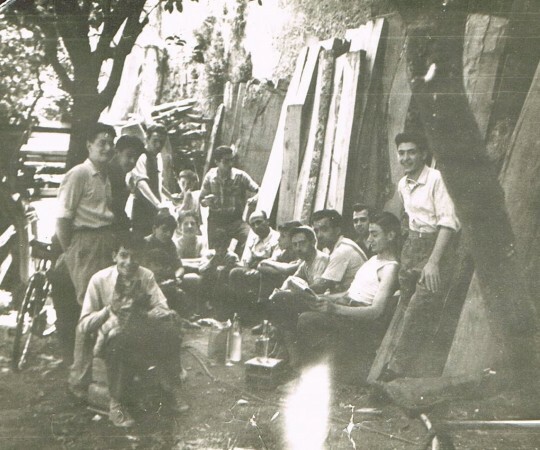 Nicola’s sons – Sabato, Ascanio, Giovanni, Ersilio – have kept up the family tradition. The company moved to Nocera Superiore to a 20,000 m2 complex which hosts us even today. 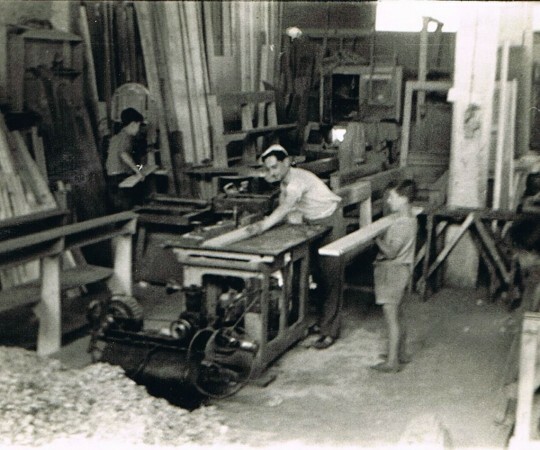 We bought more than 100 woodworking machines and we kept up the family tradition brilliantly by preserving the passion for luxury interior furnishings and furniture of high artistic value. During the most recent period of our history we have achieved: a new brand, a corporate turning point by entrusting company management to the women of the family. 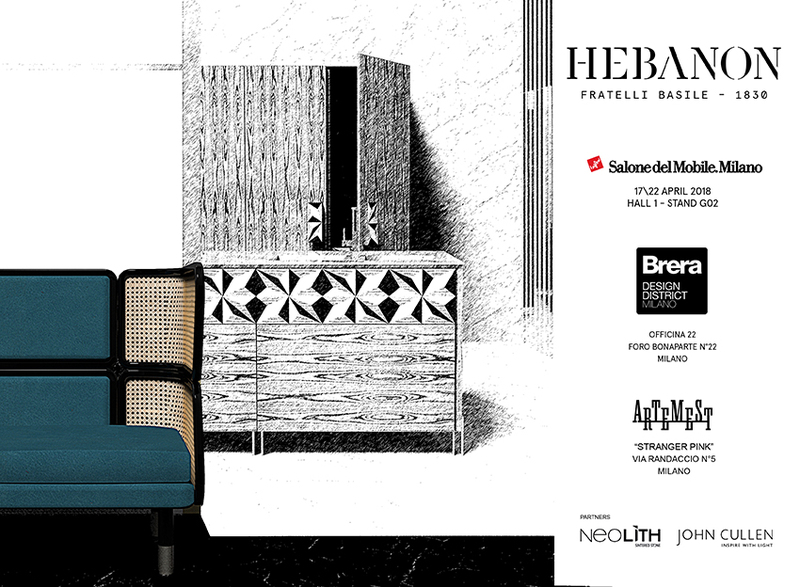 In 2001, we created the Hebanon brand which includes the luxury products produced by the Basile family and today, Hebanon represents also our interior design department. Giovanna, Maria and Nicola, Giovanni’s three daughters are the protagonists of the fifth generation of the Basile family. There has been a remarkable generational change and this has brought with it several technological innovations in both the design and the production fields. 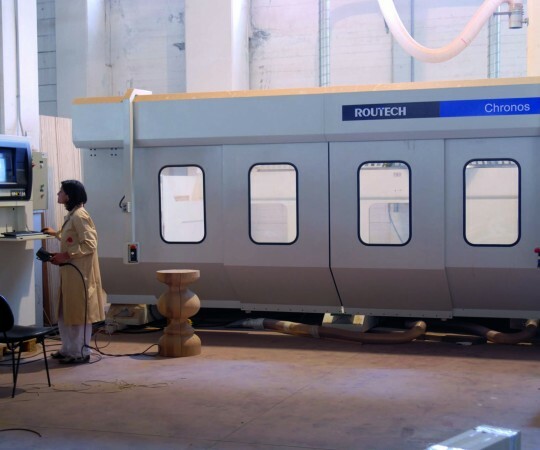 The purchase of a 5+1 axis machining centre, that is still one of the most advanced pieces of equipment worldwide, gained us the 2003 Campania Innovation Award (Premio Innovazione Campania). In the same year we achieved certification in compliance with UNI EN ISO 9001 standards and we established collaborations with schools and art colleges in order to carry out training courses on intarsia inlaying and wood-carving techniques. Since 2007, Giovanna has guided the company towards internationalisation by launching it onto the Russian market. We have taken part in the International Furniture Exhibition in Milan since 2009. In 2013 we started the research project in collaboration with the University of Studies of Salerno and the Mediterranean FabLab, the first digital manufacturing workshop in the South of Italy.